Blue Water Canyon Pro DS 8 MM Rope is one badass rope. 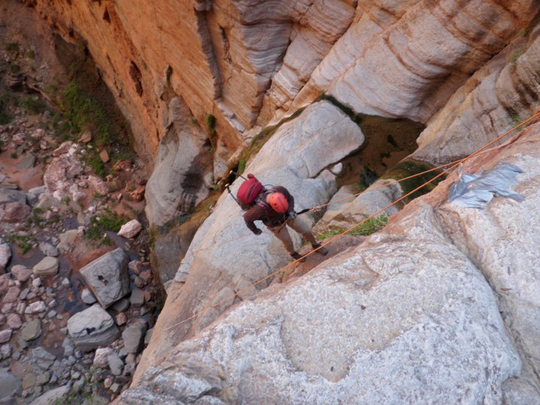 It can handle many rough sandstone canyons and come out unscathed. It is a canyoneers dream. It is lightweight, weighing only 5.51 pounds at 61 meters or 2.85 pounds at 100 feet and coils down small. The Blue Water Canyon Pro Dual Sheath Rope features a polyester and Technora sheath coupled with a 100% Dyneema core for maximum strength and cut resistance. 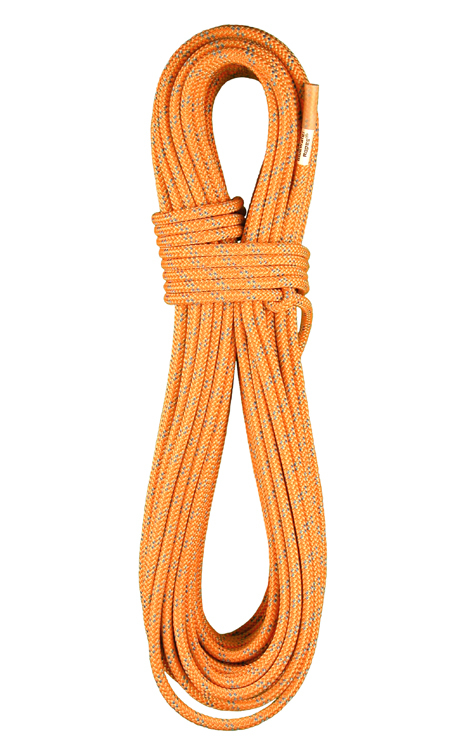 Its light weight only makes this rope more desirable for your next canyoneering adventure. This rope is also great for the long raps – without getting core shots. Use of large radius, smooth edged figure 8s or Piranhas are recommended by the manufacturer. Not for lead climbing.